The night before the Tumana Parenting Workshop which was to be held on May 14, 2016 at the LINKS School for Life, I prepared myself. I made sure everything I needed was in my bag, my camera had full storage and battery; I was determined to come prepared and ready to face any possibility. Little did I know that no amount of preparations would prepare me for the shock I would experience upon reading through the list of participants for the workshop. Instead of browsing through a list of names along with their ages which ranged from 20-30, which is what I had expected; I was in a state of disbelief as I realized that most of the participants were below the age of twenty, with some women being even younger than me. I definitely did not prepare for that. 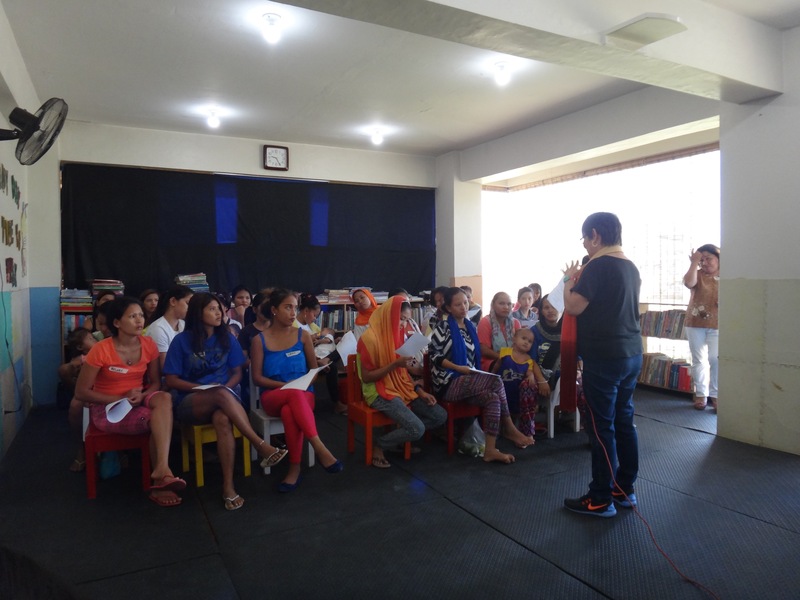 The session began with Tita Honey giving introductions and a clear overview of what would happen throughout the session. The audience listened attentively as they absorbed each word that was said. From the way they listened, it could already be concluded that they were more than eager to learn more about the unfamiliar territory known as parenting. After the introduction, the mic was passed over to Tito Chris, who led the audience into a mindfulness activity. An activity designed to help the audience reflect over the circumstances of their lives, and at the same time serve as an opportunity to get some anxieties and worries off their chests. I observed that throughout this activity, the young mothers would take a deep breath in and let a long heavy breath out; as if they are letting go of their problems. Problems that I cannot begin to comprehend; being a teenager as well, I already find it quite a challenge to take care of myself in terms of getting my errands done, taking care of my own health or keeping my emotions in check. I cannot imagine having to do all this for another person as well and especially not for three more people. 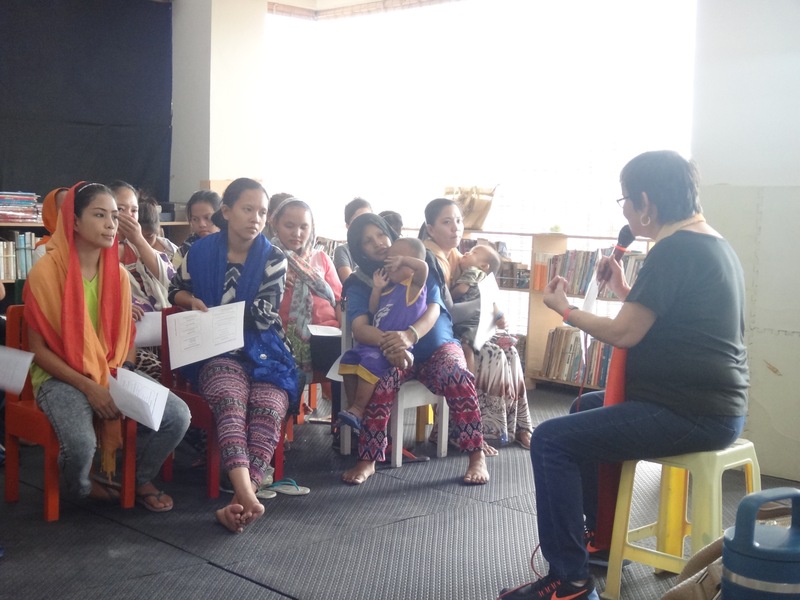 After the mindfulness activity, Tita Honey began her lecture which highlighted some of the main points of struggle in the field of parenting. Tita Honey emphasized the importance of practicing discipline in every household. She also mentioned that discipline is a very delicate instrument that may go the wrong way if the child and parent have a miscommunication or misunderstanding. Tita Honey gave an example by stating that, a parent may scold a child for misbehaving but in the eyes of the child he is only doing what children are programmed to do, playing. The parents may then unknowingly hurt the child, if dignity and respect are absent while discipline is being implemented. 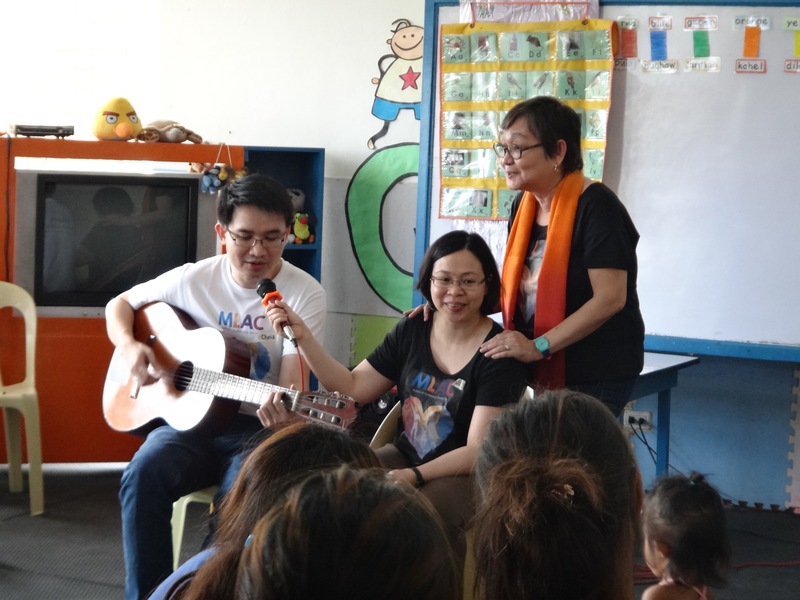 Tita Honey also explained the importance of maintaining an honest relationship with the child, which is a crucial step in keeping the trust between each other. There was also a Question and Answer portion wherein the audience shared their doubts and thoughts, such as how to manage raising a child despite being a single parent. Tita Honey addressed the question by stating that it is essential to have the humility to ask for help from others and to acknowledge one’s capacity and knowing when it is time to accept the help of others. The next activity was the small groups; the participants were distributed into six separate groups, each group being facilitated by one of the MLAC team members. 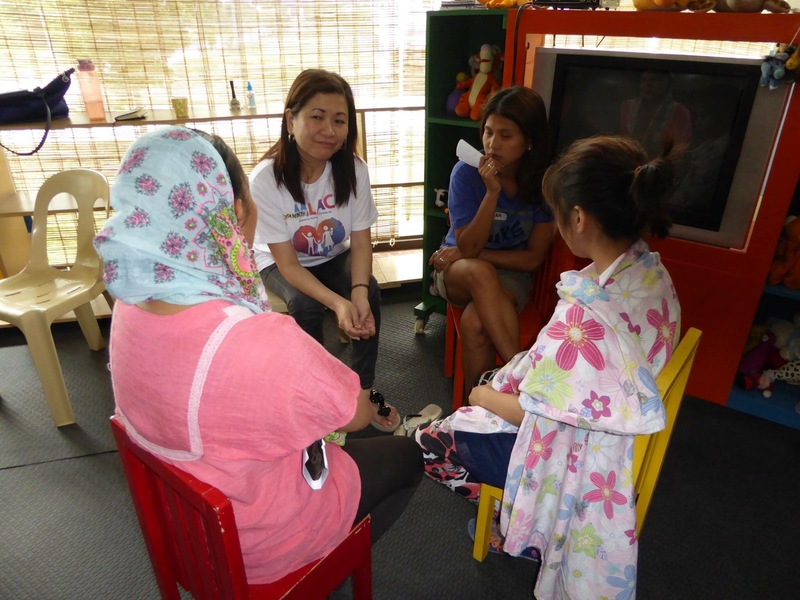 Through these small groups, the participants were able to share their various struggles with raising their children; some would recount their experiences, both pleasant and haunting. After the small group activity, the facilitators of each small group then gave a summary of the insights, sharing and experiences that were discussed in each respective group. 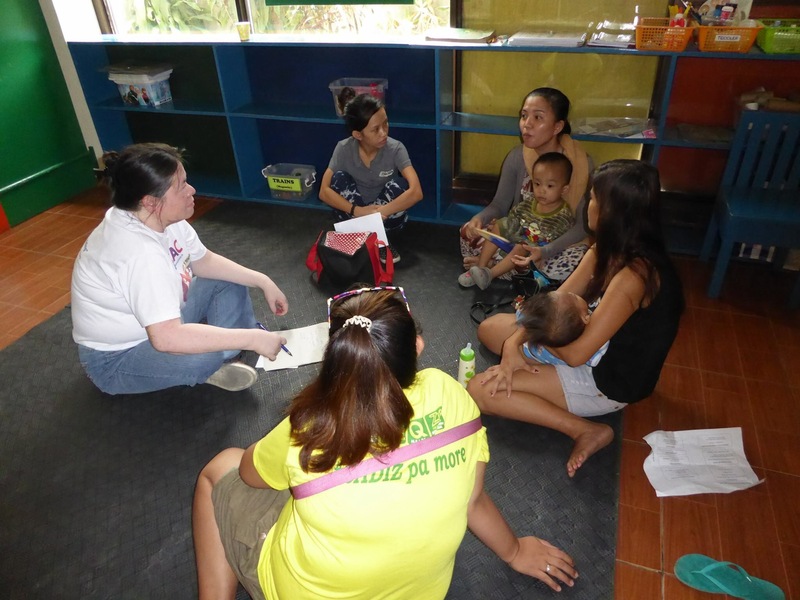 One of the stories that struck me was the experience one of the participants has gone through wherein she unknowingly found her children drowning as she left them to play, this served as an eye opener to her and the other parents as well. The other experiences that were summarized gave a sense of security to the whole audience because these stories served as proof that every parent goes through various struggles, which means they are not alone in the journey of parenthood. The entire experience made me realize the gravity of being a teenage parent. Being a parent is already difficult as it is because a life is literally in your hands. As a teenage parent, it becomes even more of a struggle because despite having another person’s life in your hands, you are still discovering bits and pieces of yourself each day since the teenage years are known to be the peak of self-discovery. One cannot focus on self-growth if he/she is occupied with the obligation to raise a child. 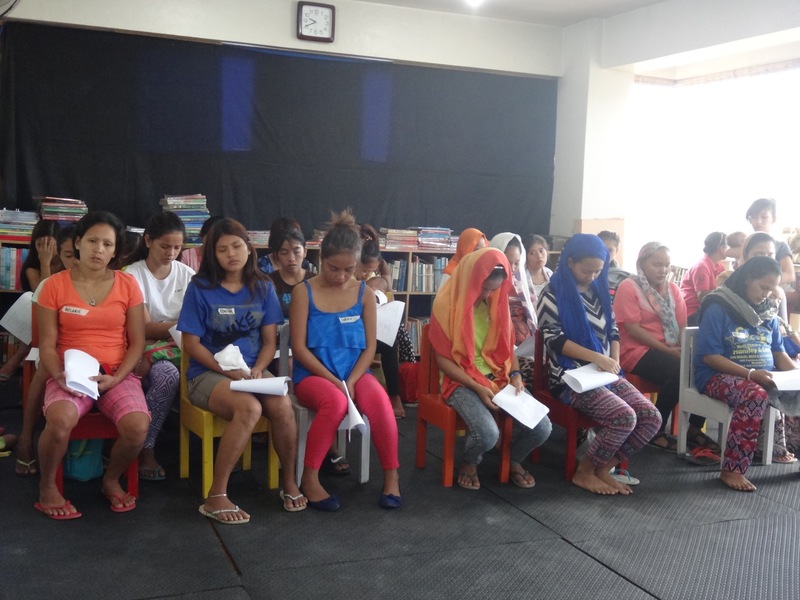 In conclusion, I was glad that MLAC conducted this parenting session because the issue of parenting is very timely, especially for new teenage mothers who were suddenly thrown into the responsibility of becoming a parent as soon as they stopped being considered children. Since, time cannot be reversed, it is important that they be made aware of the difficulties and tips in raising a child, which is why parenting seminars and sessions are crucially relevant for young parents.